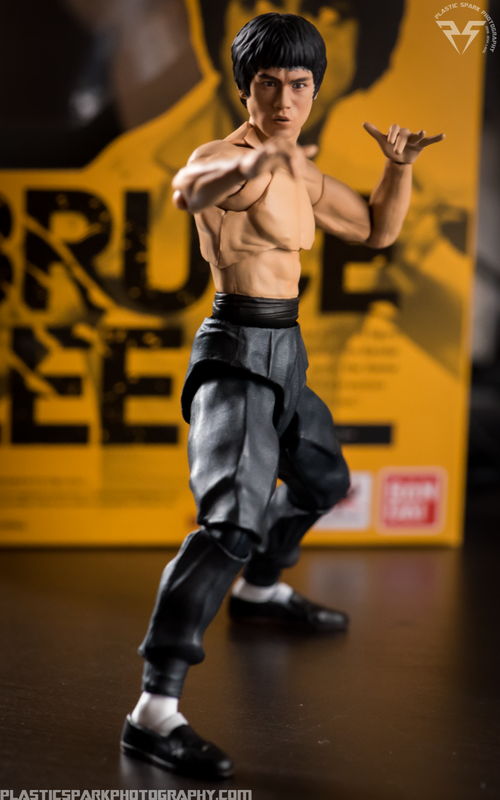 Took a few preview shots of Bruce on my desk. First impressions of this figure? I am amazed. The accuracy of his face and body is astounding and Bandai's digital printing technology really knocked it out of the park for his faces. 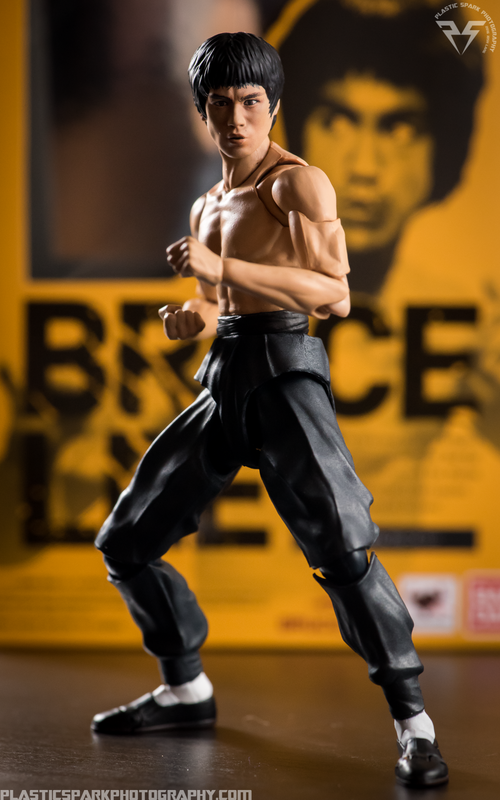 The figure has a few limitations which I will go over in my review but all in all this is the figure Bruce Lee fans must have. I've been a bit of a martial arts movie nut since I was a little kid. Bruce Lee and Sonny Chiba movies were my favorite as well as Jackie Chan. How awesome would it be if they made SHF for them as well? 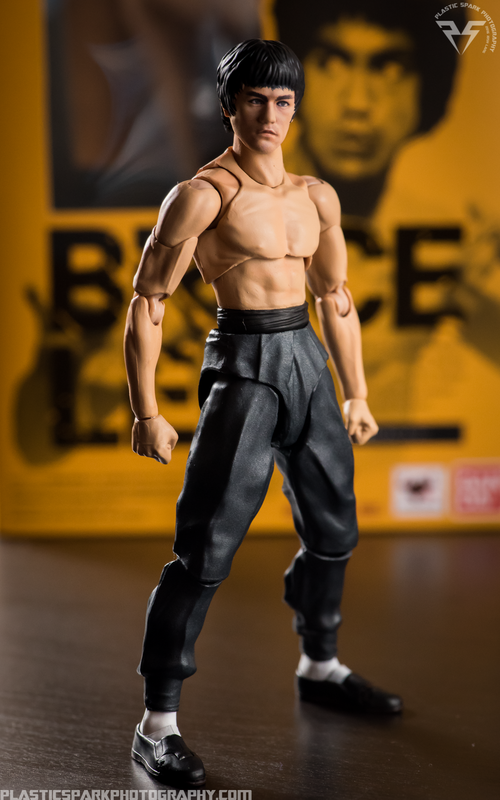 Personally I'm hoping we see a Game of Death version of this figure with his signature yellow and black tracksuit and some more faces and hands that are compatible between the two figures.